Achieving the Main Street America Revitalization Professional credential, currently the highest credential offered through MSAI, is a tremendous accomplishment. 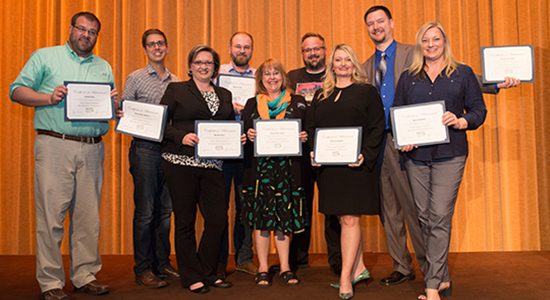 The following individuals have demonstrated a mastery of subject matter essential to downtown and neighborhood district management and have illustrated a serious commitment to creating vibrant, healthy Main Streets. Algera Anderson, Linden Main Street, Linden, Tx. Elizabeth Brodek, City of Eau Claire and Downtown Eau Claire, Inc., Eau Claire, Wis.
Donna Ann Harris, Heritage Consulting Inc., Philadelphia, Pa.
Steven Hoffman, Southeast Missouri State University, Cape Girardeau, Mo. Linda Klinck, Wyoming Main Street, Cheyenne, Wy. Paul Larsen, Brigham City Corporation, Brigham City, Ut. Kyle Meyer, Virginia Main Street, Richmond, Va.
Jennifer Pruden, Czech Village New Bohemia Main Street District, Cedar Rapids, Ia. Rebecca Rowe, Virginia Main Street, Richmond, Va.
Jeannie Waller Zieren, Mississippi Main Street Association, Jackson, Ms.
Alex Balloon, Tacony Community Development Corp., Philadelphia, Pa.
Breann Bye, 6th Avenue Corridor, Des Moines, Ia. Amy Hansen, Downtown Fond du Lac Partnership, Fond du Lac, Wis.
Patrick Kay, Downtown Americus - Main Street, Americus, Ga.
Derek Lumsden, Osceola Area Chamber & Mainstreet Program, Osceola, Ia. Donnie Rodgers, Downtown Lee's Summit, Lee’s Summit, Mo. Diana Schwartz, Ocala/Marion County Chamber and Economic Partnership, Ocala, Fla.
Sarah Thompson, Hamilton County S.E.E.D., Webster City, Ia. 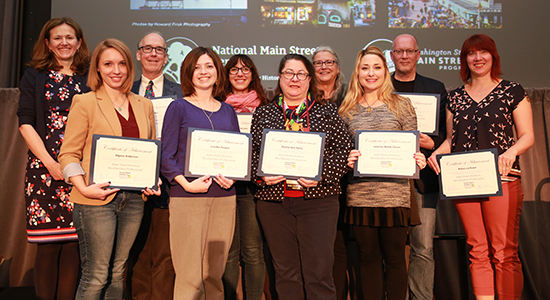 Read the 2017 MSARP recipients thoughts on the profession of downtown and commercial district management in State of Main.